Was $399.99 Shop now and save! Product Description Design Boost. 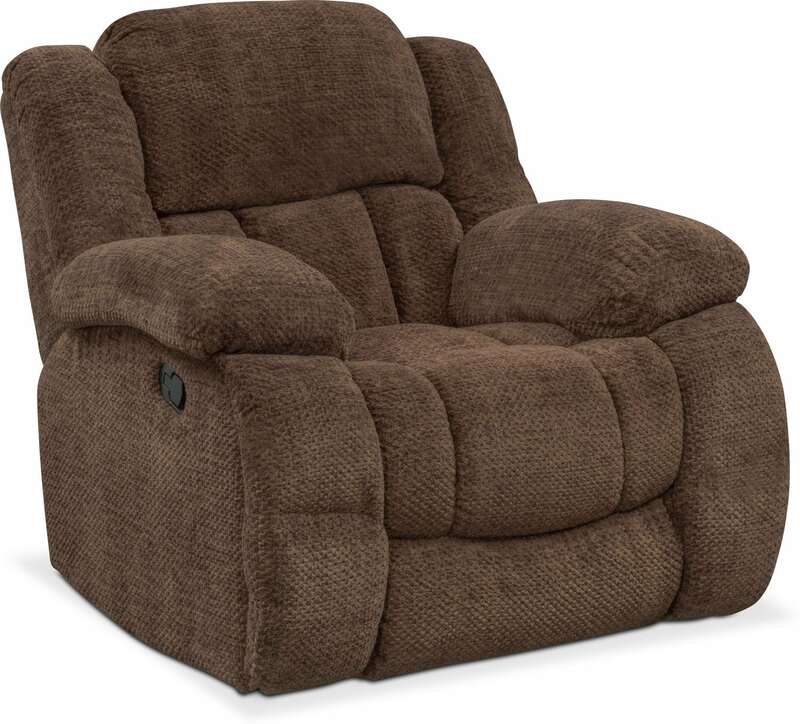 The Turbo glider recliner effortlessly combines a heightened sense of style with the highly sought-after feeling of cozy warmth. Kick your feet up and drift away in pure relaxation, while enjoying the full-body support of pocket coil seating and manual reclining. Padded seating will fully embrace you, while providing plenty of room for you or a guest to enjoy. Unique Features: Silky chenille fabric adds a heightened level of softness. Pocket coil seating guarantees support and comfort.